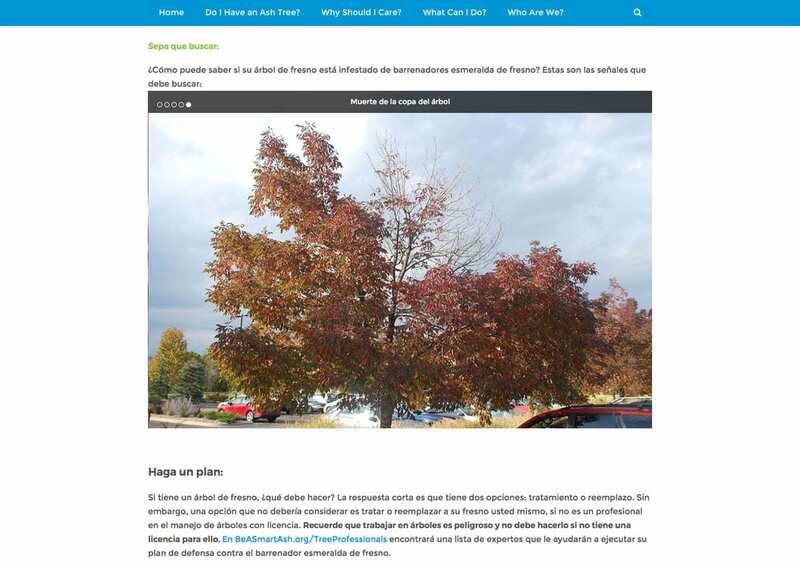 Denver Parks and Recreation needed to launch a website to support an integrated public awareness campaign aimed at educating residents for the inevitable arrival of the Emerald Ash Borer in Denver, Colorado. 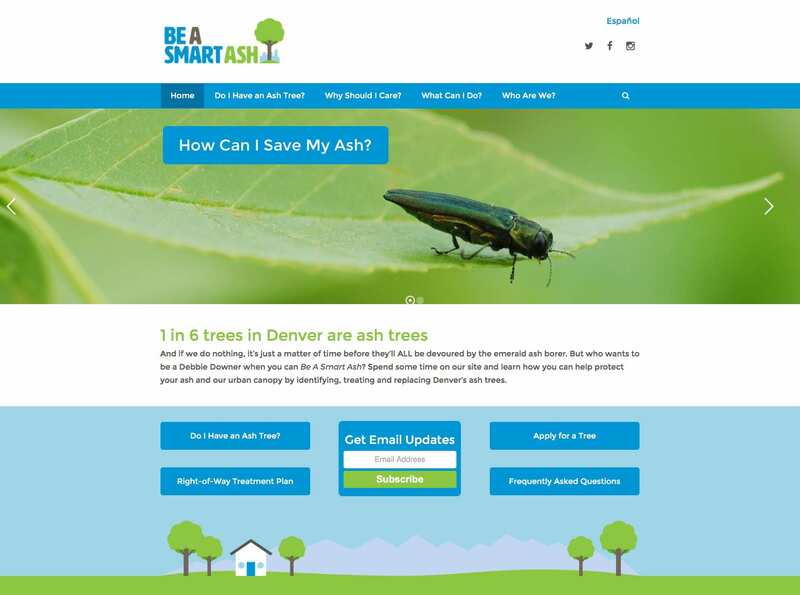 GroundFloor Media and CenterTable first worked with Denver Parks and Recreation to create the ‘Be A Smart Ash’ campaign, including the logo, branding and collateral. 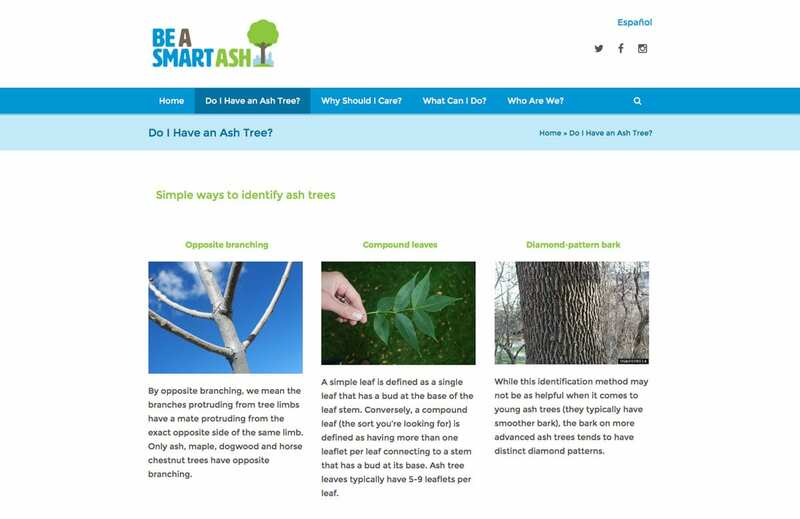 CenterTable then designed and developed an informative website to answer basic questions and serve as a one-stop-shop for residents to learn everything about Emerald Ash Borer, from determining whether they have an ash tree to how to treat or replace an ash tree if they do. 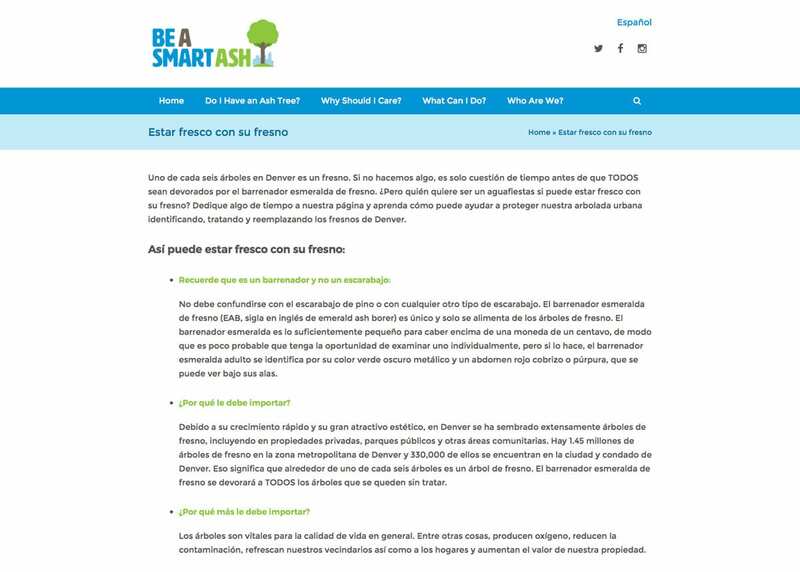 The Be A Smart Ash website was launched in both English and Spanish to meet the needs of the diverse Denver community. 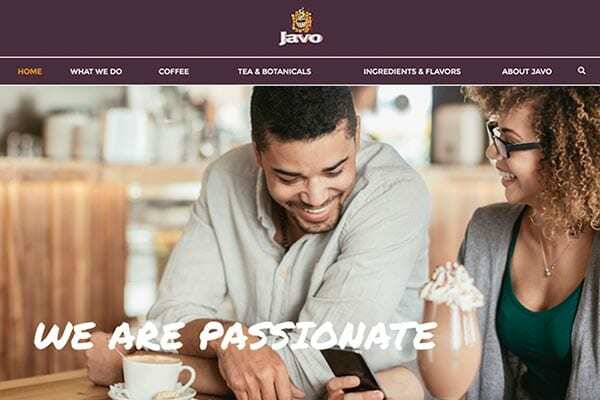 Based on client direction and feedback, CenterTable completed the entire website design and development process, from the creation of wireframes and initial design concepts to the development of the sitemap and content strategy. 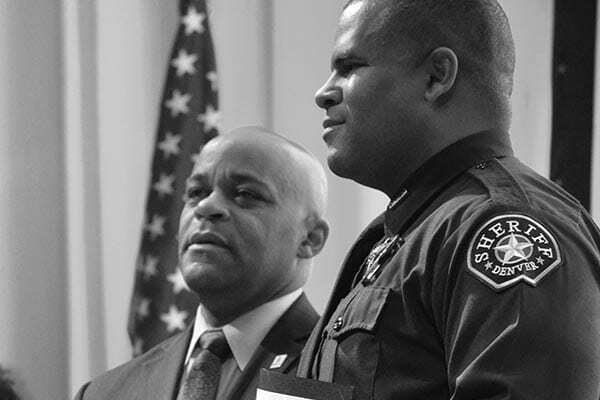 CenterTable implemented local search engine optimization (SEO) strategies in conjunction with the website launch, including keyword research, competitor research and onsite optimization tactics, such as installation of meta data, headers, image alt tags, and an internal and external linking strategy. 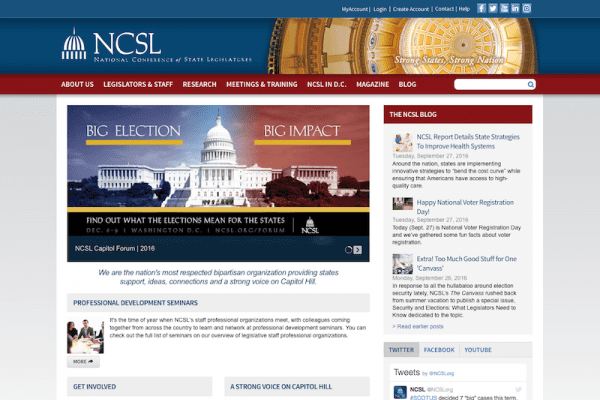 CenterTable also conducted ongoing blog content development and onsite SEO following website launch.